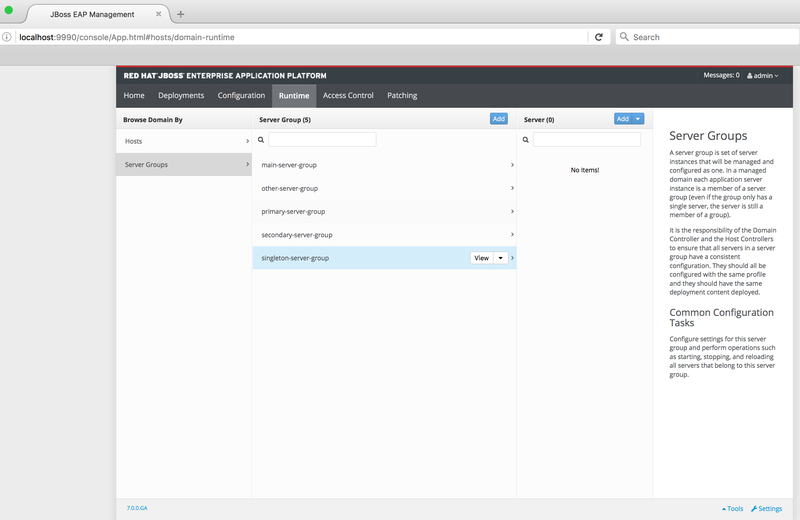 Red Hat JBoss EAP 6 introduced some new concepts like configuration simplification, Modularity, new management CLI , user-friendly management console and an amazing feature called “Domains”. Domain mode changes the way applications are deployed on EAP instances. 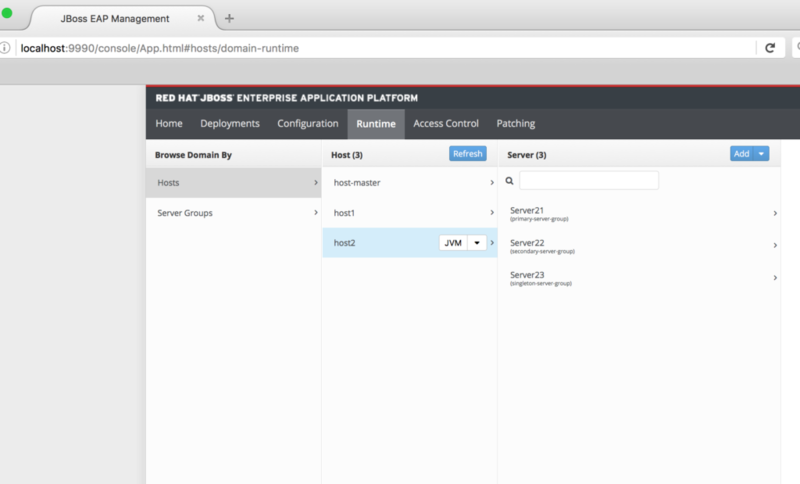 JBoss EAP 7.0 was just released and announced by Red Hat. Part 1: Set up a simple EAP 7.0 Domain. In real life Machine Host1, Host2 are mostly in different physical location but for the purpose of this tutorial we are going to simulate them on the same localhost using a signed EAP 6.4 installation and different configuration folders for each Machine. To keep it simple we will not cover JVM Configuration in depth details in this part. To complete the installation step we are first going to prepare a the workspace, create the directory structure, download and install EAP 7.0, then configure master and slave hosts. I will use ~/BlogWorkspace/EAPDomains as root folder for this tutorial, but you are free to use what you want. Let us export this folder as $EAP_DOMAIN to keep it simple in the next steps. Visit Red Hat Developers to download the EAP 7.0 zip file and extract it into the $EAP_DOMAIN/labs folder. In real life, you would have a separate installation binary for each host, but for this tutorial we will use the same installation binaries shared by the 3 hosts. The configuration files to be use for each host will be specified in the startup command. This is a best practice that allows you to run multiple instances of EAP in Domain mode on the same machine using the same installation files. It also allows you to upgrade to a newer version of EAP without affecting or overwriting your configuration files. Now we are going to replicate the current configuration on the 3 individual hosts before continuing. 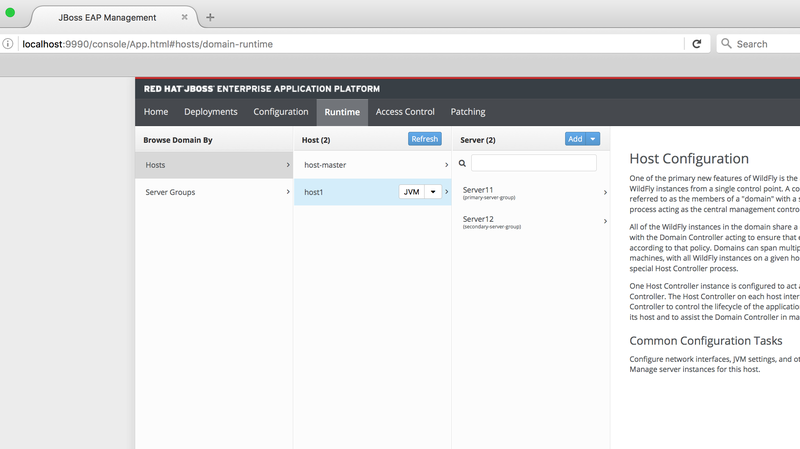 Initialize configuration files for each host by copying the jboss-eap-7.0/domain folder into each of the three hosts. Now we have the basic configuration on which we can rely to setup a Master Domain controller on host0 and slaves Host controllers on host1 and host2. This means host0 is our domain controller; we will see the difference with simple host controller in the next section. The domain.xml file contains the global domain configuration, but for now we are just going to create the three servers groups that will be referenced by host1 and host2. Now we can start the Domain controller. 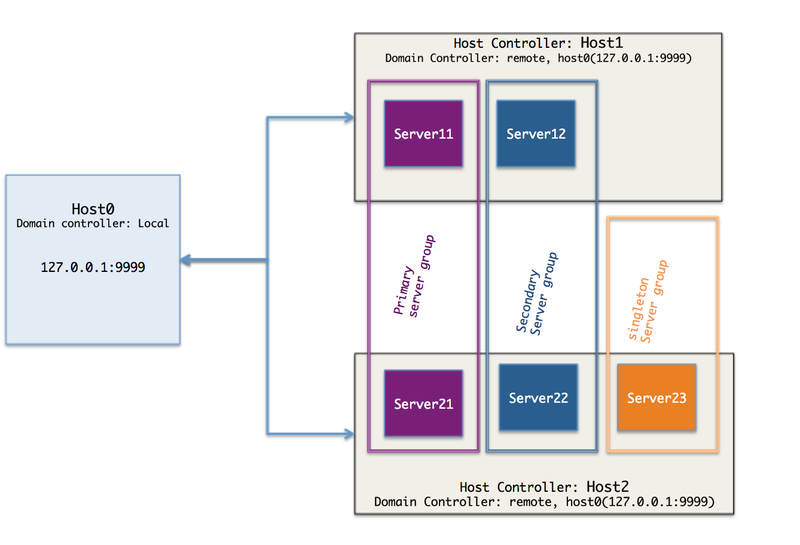 A Host controller interacts with the domain master controller to manage Servers instances located on the same machine. Each controller is configured in a domain/configuration/host.xml file. Because the native management interface on host0 domain controller is already using the default port 9999 to avoid port conflicts, we are going to use ports 19999 for the host1 native management interface. Use 29999 for host2. Note that we do not have an HTTP management interface for slave host controllers. The domain HTTP management interface on host0:9990 is enough . On EAP 6.4 the domain topology looks like this. 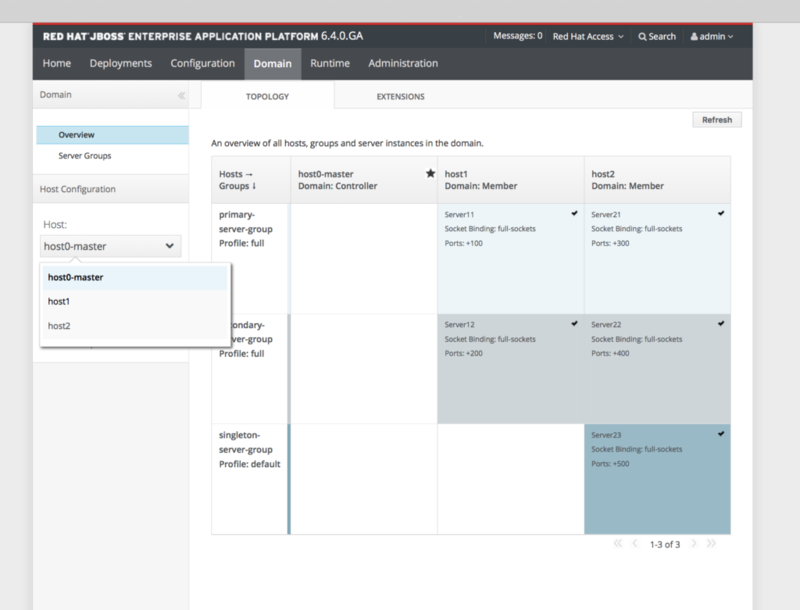 JBoss EAP 7 includes an updated management console user interface, including easier navigation, and much better support for large scale domain configurations. In the next parts we will explore the different deployments options on this domain.